Learn how to keep track of the shots needed on set. It's easy to use your shot list to keep track of your completed shots on set. All you have to do is add a check box to your list. This is an awesome time saver that will allow you to stay organized while shooting! Select the Status option listed under Adjust Columns. A check box will appear next to each shot in the Shot List! 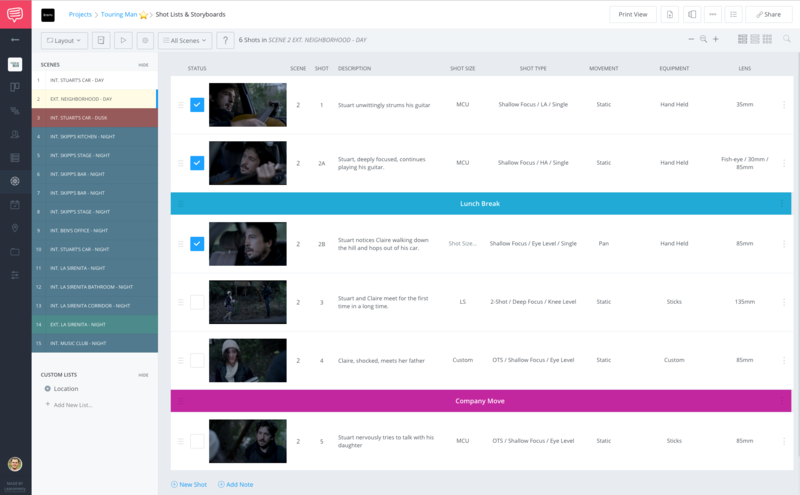 If you are connected to the internet while on set, you can access your shot list online and simply mark off shots as you go. No internet access while on set? No problem, just print the list as a PDF, and check the boxes off manually! TIP: Try changing the layout to Shot List to fit more shots on your PDF!